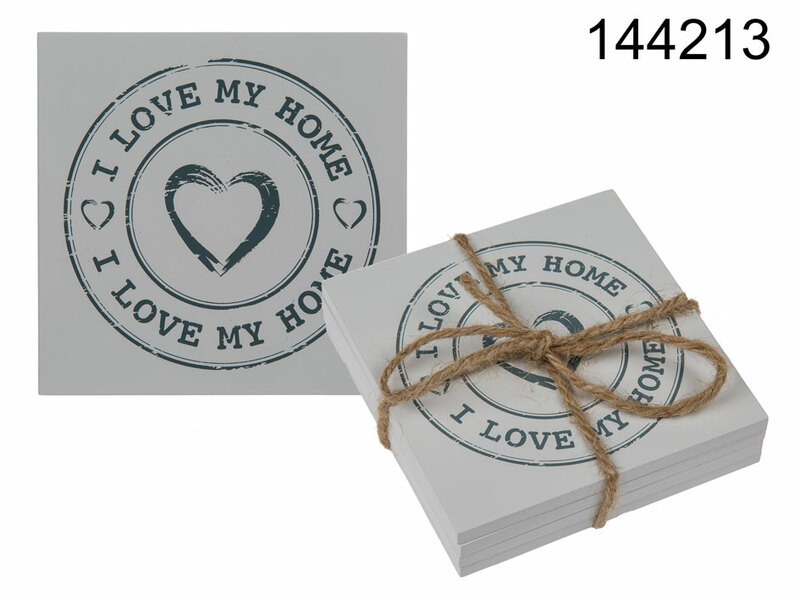 Set of 4 wooden coasters reading "I Love My Home" with heart theme. Colour of the coasters: white. High-quality item of everyday use for every home and office. Lovely decoration. Casual gift idea for everyone. Dimentions of 1 coaster: 10 x 10 x 0.5 cm.The set is tied with a jute string. Excellent housewarming party item. Dimensions: 10 x 10 x 2.5 cm.